What do you mean "an online course"? This course is taught online, interactively. 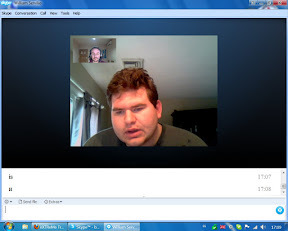 It is going to be just like the usual tutoring sessions (if you did that before), except the 2 persons are not in the same room, but connected via Internet, namely by a voice conference application. Don't be terrified! A lot of school children can cope with that in many places of the world. We do not offer you to study the language with the help of a computer! We consider irrelevant the programs and textbooks, offered by many web sites and publishers, trying to convince you of the possibility to learn one of the hardest languages on your own. We offer you to study in the tested old-fashioned way with the guidance of our qualified tutors. It is very easy, since we are working only with a textbook. We will e-mail you the first pages of the textbook for the free demo lesson and if you like it and decide to enroll in a course, we will send you via Post Office or DHL the textbook appropriate for your level. For those, who prefer traditional lessons in a classroom, we provide both intensive and long-term individual practical classes in Bulgarian language for foreigners. We have three large, air-conditioned and fully equipped with whiteboards, desks, chairs and computers language laboratories. The school is located in the centre of Plovdiv. What about the teaching method? It's both classical and modern. Maybe the most important thing when you learn a foreign language is to understand how it functions. That is called grammar and it is the main objective of the course. However, this is not meant for you to become a grammar expert. Also, we'll insist on vocabulary building, tests, conversation. We'll combine theory and practice. Usually, the first part of the session is reserved for a homework discussion and the latter part for the new lesson. You will not find here the present course format so common for EFL teachers, where amateur teachers transform a language course into a phrase book fiasco, and almost all of them cannot even connect to the students' mother tongue! Also, the homework and tests will be submitted in DOC files and we'll exchange files by transferring them via Internet. What materials can you offer? Most of our foreign students are interested in conversational Bulgarian as they are engaged to a Bulgarian partner or/and own properties in small towns and/or villages where people do not speak English. And it is difficult to get by if you cannot speak with the neighbours or order a meal in the restaurant. It is almost the same even in the big cities like Plovdiv, though youngsters usually speak English, but Bulgarian is a must when you have to deal with institutions and even private banks. That is why we have chosen to use the most appropriate textbook for them, based on the so called Communicative approach. The beginners` textbook is designed for 120 group lessons, but we usually complete it in 80 lessons, because we work much faster (and much better) on one-to-one basis. It covers the first two levels (A1 and A2) according to the European Language Portfolio (ELP). The price of the textbook (including 2 CDs and a dictionary) is 13 EUR only, and the shipping to Europe is 8 EUR and to North America - around 10 EUR. Do you know a good dictionary? You can download for free the best PC dictionary from here. Its online version is available for MAC users. There are two English-Bulgarian and Bulgarian-English dictionaries for MAC, you can find them here and here. Also, if you are running Windows 95, 98, ME or XP, please download for free this software for your Latin keyboard, so that you can type in Bulgarian. This is the so called Bulgarian phonetic, and here you can see where the Cyrillic letters are on your keyboard. Windows Vista, Windows 7 and MAC support Bulgarian phonetic, so you only have to add it. Here is a handy spell checker for Bulgarian, compatible with Windows OS and with MAC OS. Do I need to learn anything before I start out? No! This course starts from scratch at real beginner level, assuming no previous language knowledge. However, you will have to remember the bases of the grammar you learnt in school. We will assist you with that, anyway. Do I have to know grammar? Yes, to a reasonable extent. Do not let yourself be fooled by "modern", more "digestible" language-teaching methods that try to avoid grammar and rules. Grammar is the backbone of a language, its "user's guide". Learning about grammar and rules offers you a valuable shortcut. There are no other shortcuts, unless you only want to acquire a number of common phrases and to learn how to count to ten. Initially, you must have a fair idea about the basic grammar of your mother tongue language (be it English or not), so you don't have to be a proficient. Anyway, assistance on grammar issues (explanations) will be offered continuously. Also, you can download for free a good Bulgarian grammar for beginners, written in English, from here. Which is the contact language? Intermediary languages are English, German, Polish, Portuguese, Armenian and Russian. How much English do I have to know? If you are not a native English speaker, your English must be good enough to understand what is taught. An intermediate level of English will do. One lesson is 45 minutes, but you can take 2-3 in a row. How frequent will my sessions be? Actually, it's up to you. You are the one to choose how many lessons a week you will have. Considering the time zone differences and the common busy schedule of the students, two sessions per week is the most popular choice. We provide intensive Bulgarian course as well, especially designed for foreigners, who need to learn the lingo quickly and can afford an intensive tuition. Bear in mind, you will need enough time between sessions to settle the newly learnt information. How much time do I have to study a week? It depends a lot on the student's personal abilities. Some students learn on the spot. For most students, the personal study takes about double the number of session hours. If you have 2 sessions per week, you will have to reserve about 2-3 hours between sessions for personal study. In principle, we'd be available between 07:00-23:00 Bulgarian time. That is 05:00-21:00 GMT(UT) Nov to Mar, and 04:00-20:00 GMT(UT) Apr to Oct. Yes, people have been doing online teaching/learning for years. Do I have to be a computer geek to handle an online course? Not really. However, you must have some basic knowledge about computers and computer files. You'll type on DOC files, you'll use the audio capabilities of your computer, you'll transfer files. What "technology" do I need? Nothing too fancy for these days. Even a second-hand computer will do. A minimum of 1GHz processor, 256 MB RAM, Windows 2000, XP, Vista or 7... Anything above is great. 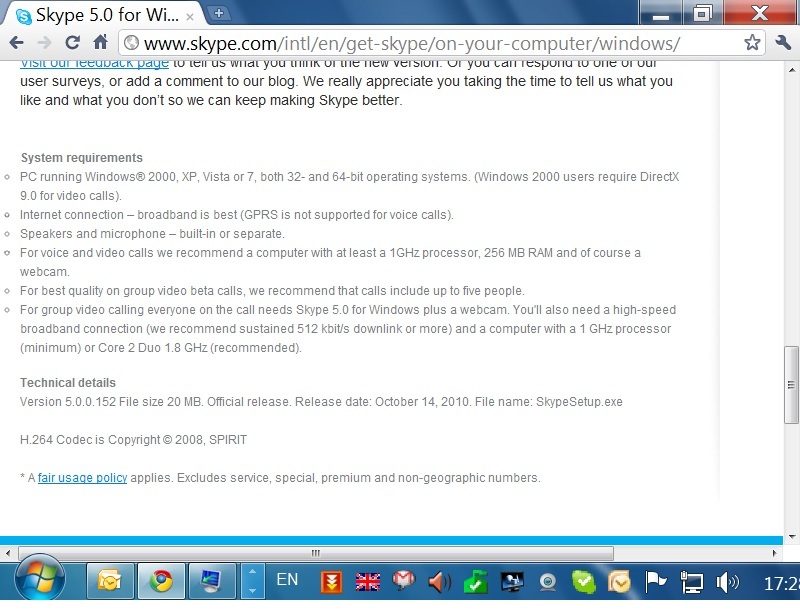 Please check Skype system requirements here. A decent Internet connection. A cable connection is a comfortable minimum, but sometimes even a phone modem connection works well enough. It`s good to test your Internet connection here and here. A sound board, a headset (microphone plus headphones), or separate speakers. The headset is strongly preferred, because the speakers cause an annoying echo effect. If you don't have those at your house, you can go to an Internet cafe. You also need Microsoft Word (any version) or Open Office and Skype (a piece of software especially designed for voice conference over the Internet). There also are big chances for us to use the Google Talk, Logitech Vid, MSN, and Yahoo Instant Messenger (YIM) as a backup audio communication tools. The YIM is sometimes better at transferring files. So many people actually believe that they can have tutoring for free! If only they could explain why would a teacher spend many long hours tutoring, consuming Internet traffic, providing professional materials, preparing lessons, correcting homework and tests, all for free? Misunderstanding? Naiveté? How can someone believe that such a professional effort would come gratis! You can't even get a loaf of bread for free, let alone such a rare service! You may be wondering whether there are ways in which you can learn the Bulgarian language free of charge. Children in Bulgaria are doing it every day. You could do it like they do ... which is to live in the culture for two or three years with no other means of communication. Learning a language requires time and effort. 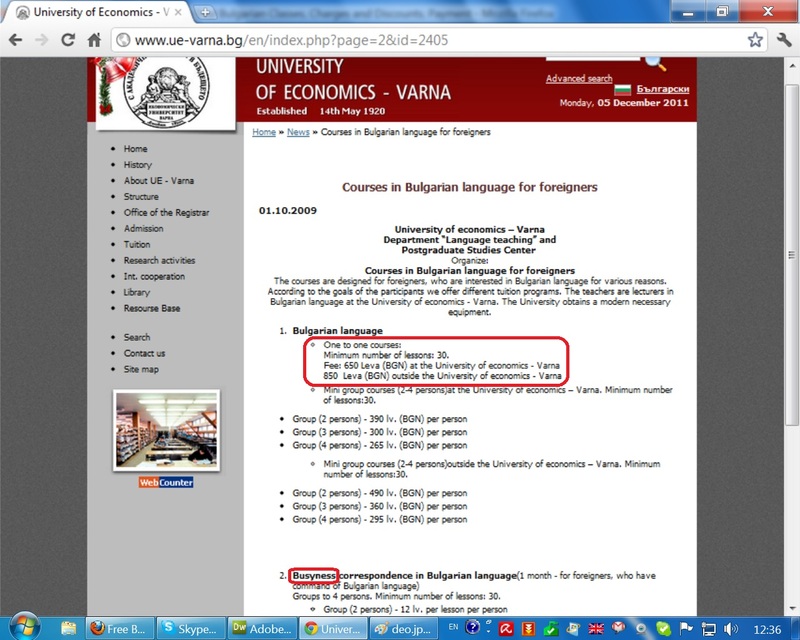 Ignore all those learn Bulgarian free language sites on the Internet that promise to teach you a foreign language within 10 days - or the hundreds of language sites that offer free language courses (there’s always a catch to this one), or the countless companies claiming that you can become fluent with no real effort. Don’t be fooled by these false claims. It is rare occasion to learn Bulgarian free. If these claims are true, then why does it take foreign language students years to speak and write fluently? There are no shortcuts to learning any foreign language, including to learn Bulgarian free. Sometimes you may wish there were some kind of magic to make you fluent overnight, but unfortunately there isn’t. It takes hard work, motivation, and discipline to succeed. The tuition fee for one one-to-one lesson is 11 EUR per lesson for two levels (80 classes*); and 12 EUR per lesson for one level only (40 classes*), Monday to Friday from 9:00 a.m. to 6:00 p.m. Bulgarian time. The fee is 15 EUR per lesson if you pay before each class, Monday to Friday from 9:00 a.m. to 6:00 p.m. Bulgarian time. The fee is 13 EUR per lesson for 80 classes and 14 EUR per lesson for 40 classes during the holidays, before 9:00 a.m. and after 6:00 p.m. Bulgarian time. Otherwise the fee is 17 EUR per lesson if you pay before each class. We offer 24 hours services! Students outside Bulgaria can pay via PayPal, Revolut, bank transfer, postal order or Money Gram and Western Union. The tuition fee for online lessons on Skype and for traditional lessons in our office is the same. Discounts for individuals: The first online lesson is always free of charge! 100% discount for family members and 50% discount for groups. The more students in a group, the lower is the fee - 8 EUR per lesson for 2 learners, 6 EUR for 3 learners, 5 EUR for 4 learners, etc. Discounts for students, pensioners and unemployed: If you're on a low income and can't afford our regular lesson fee, we can work together using a sliding scale arrangement. Just get in touch and we'll figure out something manageable for you. Warning: The price is likely to be more and more "European Union", meaning going up. *The prepaid packages of 80 and 40 classes should be used within 12 months. The tuition fees are non-refundable. The person who would ask such a question obviously is not familiar with tutoring prices. They can vary between 20 - 95 €/hour. When assessing the fair price of a tutoring hour, you must consider some factors, among which: the tutor's competence (Is that an experienced teacher or a needy student? Is that a professional or an amateur? ), the rarity of the specialists (tutors) in that field, the teacher's ability to handle modern technology and provide online tutoring, the tutor's supplementary expenses (such as Internet traffic), the time zone differences leading to unusual teaching times for the tutor. By all these factors, the "fair price" would break the upper barrier! For an easier calculation of a fair price, consider the average salary of a teacher in EU or North America, of about 1500 - 2000 €/month, and the average number of working hours per month, about 80 - 100. The average "fair" wages a teacher would get is about 19 - 20 €/hour. However, a freelance tutor's schedule is scattered and not constant and less loaded than the norm of a regular teacher. An adjustment coefficient of 1.4 would be reasonable, so the average "fair" fee for this sort of private tuition would be around 26 - 28 €/hour! You can take a look at the charges of our "rivals" in Sofia (17.95 EUR per lesson), Varna (14.53 EUR per lesson) or Blagoevgrad (22 EUR per lesson), and also at the fees for an individual lesson in English as a foreign language in the UK, Europe and the USA. We can afford now to offer this small price. So, consider it as a promotional price. It will rise in the near future, as Bulgaria has joined the EU and the "Bulgarian" prices must match the "European Union" prices. Lesson cancellations must be made at least 24 hours prior to the time of class. Cancellations made less than 24 hours will be charged 100% of the class rate. It applies to the tutors too, but we "pay" with free classes. It's not easy to find reasonable ways to transfer small amounts of money. These usually imply significant expenses per € sent, which decrease with the increase of the transferred amount. However, students outside Bulgaria can pay via PayPal, bank transfer, postal order or Money Gram and Western Union. Students from Plovdiv can pay after every lesson! Distant students have to pay in advance the charge for a few lessons only. I cannot start out immediately. Will this be available later? However, there is a danger of psychological nature: if you give up the first impulse to begin learning Bulgarian, it is very likely for it to never come back again. And I do mean that. The principle is "A Postponer becomes a Quitter". In addition, the price will probably be higher at the time you decide to start out. Can we do a language exchange? Of course, we know what that is. It is one of the most idiotic things. We have seen about language learning! In fact, there even are web sites promoting this nonsense. We are always amazed to see people think that learning a foreign language is like learning how to shoot pool! "Language exchange" means that 2 people of different mother tongues try to teach each other their respective languages. Above all, they don't have to pay for professional teaching, so it sounds fair enough. However, that is a sophism. Most people don't realize that teaching a language is as complex as teaching any science: physics, mathematics, biology... Firstly, one must have extended specialized knowledge on the subject. Yet, a lot of people, even of college level education, simply cannot see their mother tongue as a foreign language (i.e. with the eyes of a foreigner). Secondly, one must have the specific formation of a teacher, for them to know how to organize the materials, how to prepare lessons, how to correct mistakes, how to insist on certain issues, how to assess the student's progress... Now, we wonder, is everyone a language teacher? This chaotic action soon ends up in disaster. The 2 parties get bored and they realize they haven't learned but 10-20 phrases. Their greatest achievement is that they have paid nothing. But they get what they pay for: again nothing! 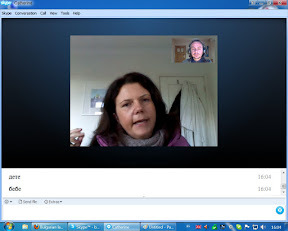 Do you offer online group Bulgarian classes? We provide online group tuition in Bulgarian for foreigners, starting from 5 EUR. Learning the lingo in a small group has several benefits. You can: role-play with other learners instead of practicing with the tutor only; study from others` mistakes and achievements; compare your progress with the other students; discuss problems with the rest participants; exchange ideas and tips with the members of the group; improve your skills in a friendly, but still competitive surroundings; enjoy speaking to people with the same interests and hobby; meet strangers from all over the world and learn about their countries; share your Bulgarian experience with people, who are also keen on Bulgaria; make new friends, etc. On top of everything, you can save money! Find a language partner and begin learning Bulgarian today for 8 EUR only! The more students in a group, the lower is the fee - 8 EUR for 2 learners, 6 EUR for 3 learners, 5 EUR for 4 learners, etc. There is just one requirement – all members of the group must have similar level. The number of the lessons per week and the best time for all of us will be easily arranged. The first lesson is always free of charge! There is also 100% discount for family members. We can share a conference call with up to 25 people, anywhere in the world, and if everyone’s on Skype it’s completely free. However, the reasonable number of students in a group is 2 to 5. Can I learn Bulgarian without a teacher? Maybe (just maybe), if you are a genius, you can try to learn English or French on your own. 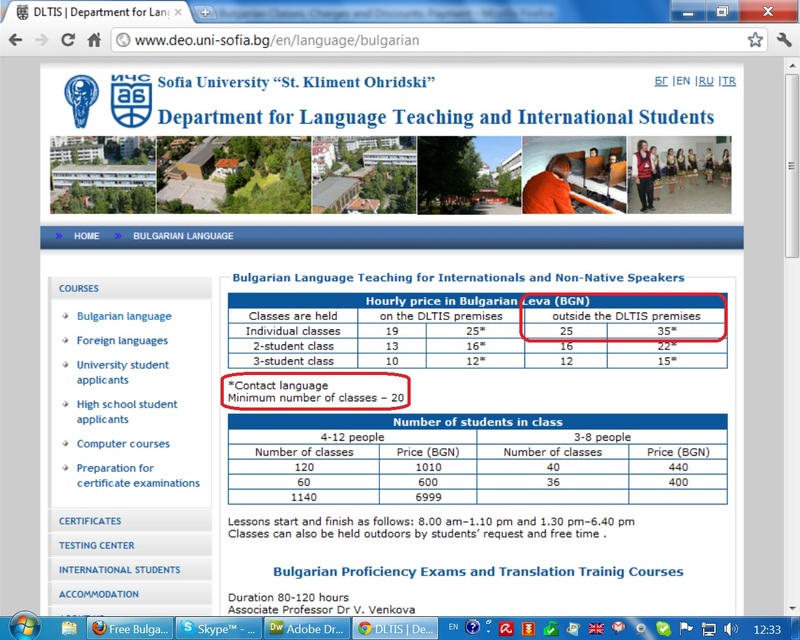 There are good materials to learn some languages, but... not Bulgarian. So, frankly, you don't stand a chance, genius or not. I want to have conversations, to talk to people in Bulgarian. Do you offer a Bulgarian conversation course? This is an intensive course and includes conversation exercises too. However, we focus on the structure of the language (grammar) and vocabulary. Logically, you cannot have conversations, if you don't know how the language functions or don't have enough vocabulary. Conversation comes afterwards. How can I find a local Bulgarian tutor (in my town)? And if you don't, to make it more convincing, let us put it this way: there are bigger chances for you to be hit by an atomic bomb in the next 10 seconds than finding a competent tutor in your town! Count to 10. Has it hit you? It hasn't? Now do you see what we mean? Can I learn Bulgarian from those online resources? We've checked those out. 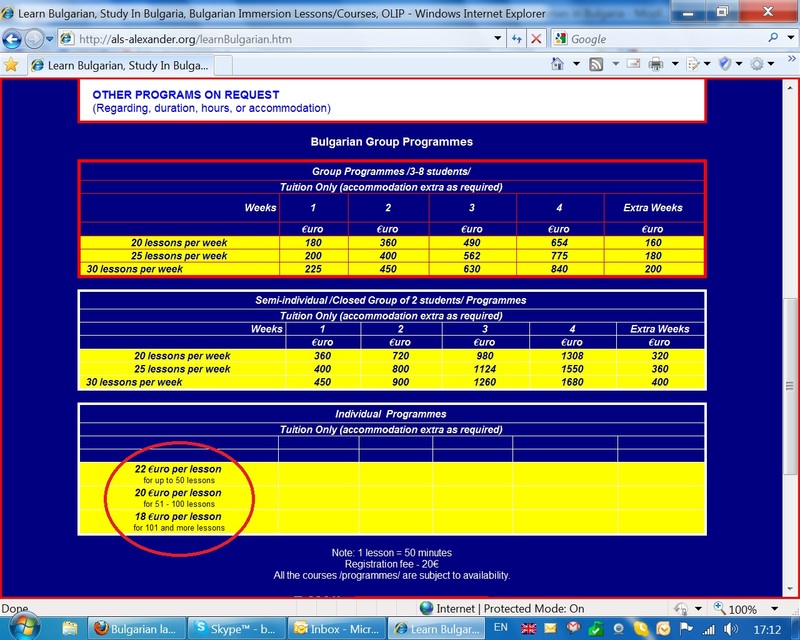 They are even worse than the printed materials for learning Bulgarian. 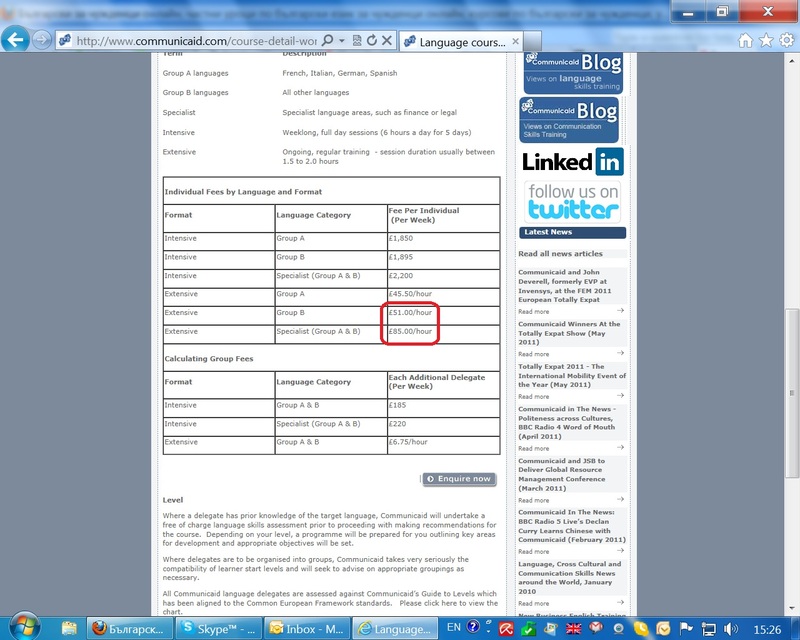 Mastylo Language School does not offer you to study the language with the help of a computer! We consider irrelevant the programs and textbooks, offered by many web sites and publishers, trying to convince you of the possibility to learn one of the hardest languages on your own. We offer you to study in the tested old-fashioned way with the guidance of our qualified tutors. Are you offering group courses too? 1. As Bulgarian is not a widespread language and the number of potential students is not so big, it would be difficult to form a group of students. 2. The students would come from various countries, that is from various time zones, so an agreement on the schedule would be difficult to make. 3. Above all, students are differently talented for languages, might have different starting levels, different motivations and different levels of English (which is the contact language). We provide mainly individual lessons, though we teach so many foreign students. 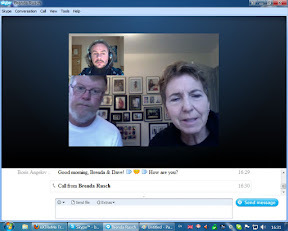 It`s possible technically to teach even on-line on Skype up to 6 students, but we do prefer to work in a one-to-one basis, except with couples and families, of course. You can only find group tuition at the public universities, but you must pay in advance around 3500 EUR for an academic year (October to July). Do you offer services of translator, interpreter or tourist guide? Can you do video subtitles? Yes. For those interested we offer services of translation, interpreting and tourist guidance. We can make hotel reservations, rent a car and even be a driver and a navigator. Mastylo Language School also assists in providing varied range of services for foreigners and expats, who are interested in buying a property, establishing a company or just willing to settle down in Bulgaria. If you wish to sign up for an online course, please contact us on Skype or send an e-mail containing your name, level and the best time for the free online Bulgarian lesson. Please feel free to choose one of our teachers for the trial class. If you prefer traditional tuition in a classroom, give us a call to arrange an appointment in our office.